1. In 2003, 45 percent of the 1,678,192 total arrests for drug abuse violations were for marijuana -- a total of 755,186. Of those, 662,886 people were arrested for marijuana possession alone. This is an increase from 2000, when a total of 734,497 Americans were arrested for marijuana offenses, of which 646,042 were for possession alone. Sources: Federal Bureau of Investigation, Crime in America: FBI Uniform Crime Reports 2003 (Washington, DC: US Government Printing Office, 2004), p.269, Table 4.1 & p. 270, Table 29; Federal Bureau of Investigation, Crime in America: FBI Uniform Crime Reports 2002 (Washington, DC: US Government Printing Office, 2003), p. 234, Table 4.1 & and p. 234, Table 29; Federal Bureau of Investigation, Crime in America: FBI Uniform Crime Reports 2001 (Washington, DC: US Government Printing Office, 2002), p. 232, Table 4.1 & and p. 233, Table 29; Federal Bureau of Investigation, Uniform Crime Reports for the United States 2000 (Washington DC: US Government Printing Office, 2001), pp. 215-216, Tables 29 and 4.1; Uniform Crime Reports for the United States 1999 (Washington DC: US Government Printing Office, 2000), pp. 211-212; Federal Bureau of Investigation, Uniform Crime Reports for the United States 1998 (Washington DC: US Government Printing Office, 1999), pp. 209-210; FBI, UCR for the US 1995 (Washington, DC: US Government Printing Office, 1996), pp. 207-208; FBI, UCR for the US 1990 (Washington, DC: US Government Printing Office, 1991), pp. 173-174; FBI, UCR for the US 1980 (Washington, DC: US Government Printing Office, 1981), pp. 189-191. 2. According to the UN's estimate, 141 million people around the world use marijuana. This represents about 2.5 percent of the world population. Source: United Nations Office for Drug Control and Crime Prevention, Global Illicit Drug Trends 1999 (New York, NY: UNODCCP, 1999), p. 91. 3. Marijuana was first federally prohibited in 1937. Today, more than 83 million Americans admit to having tried it. Sources: Marihuana Tax Act of 1937; Substance Abuse and Mental Health Services Administration, Summary of Findings from the 2001 National Household Survey on Drug Abuse (Rockville, MD: Department of Health and Human Services, 2002), Table H.1, from the web at http:://www.samhsa.gov/oas/NHSDA/2k1NHSDA/vol2/appendixh_1.htm, last accessed Sept. 16, 2002. 4. "Tetrahydrocannabinol is a very safe drug. Laboratory animals (rats, mice, dogs, monkeys) can tolerate doses of up to 1,000 mg/kg (milligrams per kilogram). This would be equivalent to a 70 kg person swallowing 70 grams of the drug -- about 5,000 times more than is required to produce a high. Despite the widespread illicit use of cannabis there are very few if any instances of people dying from an overdose. In Britain, official government statistics listed five deaths from cannabis in the period 1993-1995 but on closer examination these proved to have been deaths due to inhalation of vomit that could not be directly attributed to cannabis (House of Lords Report, 1998). By comparison with other commonly used recreational drugs these statistics are impressive." Source: Iversen, Leslie L., PhD, FRS, "The Science of Marijuana" (London, England: Oxford University Press, 2000), p. 178, citing House of Lords, Select Committee on Science and Technology, "Cannabis -- The Scientific and Medical Evidence" (London, England: The Stationery Office, Parliament, 1998). 5. "A review of the literature suggests that the majority of cannabis users, who use the drug occasionally rather than on a daily basis, will not suffer any lasting physical or mental harm. Conversely, as with other ‘recreational’ drugs, there will be some who suffer adverse consequences from their use of cannabis. Some individuals who have psychotic thought tendencies might risk precipitating psychotic illness. Those who consume large doses of the drug on a regular basis are likely to have lower educational achievement and lower income, and may suffer physical damage to the airways. They also run a significant risk of becoming dependent upon continuing use of the drug. There is little evidence, however, that these adverse effects persist after drug use stops or that any direct cause and effect relationships are involved." Source: Iversen, Leslie L., PhD, FRS, "Long-Term Effects of Exposure to Cannabis," Current Opinion in Pharmacology, Feb. 2005, Vol. 5, No. 1, p. 71. 6. According to research published in the journal Addiction, "First, the use of cannabis and rates of psychotic symptoms were related to each other, independently of observed/non-observed fixed covariates and observed time dynamic factors (Table 2). Secondly, the results of structural equation modelling suggest that the direction of causation is that the use of cannabis leads to increases in levels of psychotic symptoms rather than psychotic symptoms increasing the use of cannabis. Indeed, there is a suggestion from the model results that increases in psychotic symptoms may inhibit the use of cannabis." Source: Fergusson, David M., John Horwood & Elizabeth M. Ridder, "Tests of Causal Linkages Between Cannabis Use and Psychotic Symptoms," Addiction, Vol. 100, No. 3, March 2005, p. 363. Source: Bleakley, Louise, "NZ Study Used in UK Drug Review," The Press (Christchurch, New Zealand: March 22, 2005), from the web at http://www.mapinc.org/newscsdp/v05/n490/a08.html, last accessed March 28, 2005. 8. "The results of our meta-analytic study failed to reveal a substantial, systematic effect of long-term, regular cannabis consumption on the neurocognitive functioning of users who were not acutely intoxicated. For six of the eight neurocognitive ability areas that were surveyed. the confidence intervals for the average effect sizes across studies overlapped zero in each instance, indicating that the effect size could not be distinguished from zero. The two exceptions were in the domains of learning and forgetting." Source: Grant, Igor, et al., "Non-Acute (Residual) Neurocognitive Effects Of Cannabis Use: A Meta-Analytic Study," Journal of the International Neuropsychological Society (Cambridge University Press: July 2003), 9, p. 685. 9. "These results can be interpreted in several ways. A statistically reliable negative effect was observed in the domain of learning and forgetting, suggesting that chronic long-term cannabis use results in a selective memory defect. While the results are compatible with this conclusion, the effect size for both domains was of a very small magnitude. The "real life" impact of such a small and selective effect is questionable. In addition, it is important to note that most users across studies had histories of heavy longterm cannabis consumption. Therefore, these findings are not likely to generalize to more limited administration of cannabis compounds, as would be seen in a medical setting." Source: Grant, Igor, et al., "Non-Acute (Residual) Neurocognitive Effects Of Cannabis Use: A Meta-Analytic Study," Journal of the International Neuropsychological Society (Cambridge University Press: July 2003), 9, p. 686. 10. "In conclusion, our meta-analysis of studies that have attempted to address the question of longer term neurocognitive disturbance in moderate and heavy cannabis users has failed to demonstrate a substantial, systematic, and detrimental effect of cannabis use on neuropsychological performance. It was surprising to find such few and small effects given that most of the potential biases inherent in our analyses actually increased the likelihood of finding a cannabis effect." Source: Grant, Igor, et al., "Non-Acute (Residual) Neurocognitive Effects Of Cannabis Use: A Meta-Analytic Study," Journal of the International Neuropsychological Society (Cambridge University Press: July 2003), 9, p. 687. 11. "Nevertheless, when considering all 15 studies (i.e., those that met both strict and more relaxed criteria) we only noted that regular cannabis users performed worse on memory tests, but that the magnitude of the effect was very small. The small magnitude of effect sizes from observations of chronic users of cannabis suggests that cannabis compounds, if found to have therapeutic value, should have a good margin of safety from a neurocognitive standpoint under the more limited conditions of exposure that would likely obtain in a medical setting." Source: Grant, Igor, et al., "Non-Acute (Residual) Neurocognitive Effects Of Cannabis Use: A Meta-Analytic Study," Journal of the International Neuropsychological Society (Cambridge University Press: July 2003), 9, pp. 687-8. 12. A Johns Hopkins study published in May 1999, examined marijuana's effects on cognition on 1,318 participants over a 15 year period. Researchers reported "no significant differences in cognitive decline between heavy users, light users, and nonusers of cannabis." They also found "no male-female differences in cognitive decline in relation to cannabis use." "These results ... seem to provide strong evidence of the absence of a long-term residual effect of cannabis use on cognition," they concluded. Source: Constantine G. Lyketsos, Elizabeth Garrett, Kung-Yee Liang, and James C. Anthony. (1999). "Cannabis Use and Cognitive Decline in Persons under 65 Years of Age," American Journal of Epidemiology, Vol. 149, No. 9. 13. "Current marijuana use had a negative effect on global IQ score only in subjects who smoked 5 or more joints per week. A negative effect was not observed among subjects who had previously been heavy users but were no longer using the substance. We conclude that marijuana does not have a long-term negative impact on global intelligence. Whether the absence of a residual marijuana effect would also be evident in more specific cognitive domains such as memory and attention remains to be ascertained." Source: Fried, Peter, Barbara Watkinson, Deborah James, and Robert Gray, "Current and former marijuana use: preliminary findings of a longitudinal study of effects on IQ in young adults," Canadian Medical Association Journal, April 2, 2002, 166(7), p. 887. 1. "Although the heavy current users experienced a decrease in IQ score, their scores were still above average at the young adult assessment (mean 105.1). If we had not assessed preteen IQ, these subjects would have appeared to be functioning normally. Only with knowledge of the change in IQ score does the negative impact of current heavy use become apparent." Source: Fried, Peter, Barbara Watkinson, Deborah James, and Robert Gray, "Current and former marijuana use: preliminary findings of a longitudinal study of effects on IQ in young adults," Canadian Medical Association Journal, April 2, 2002, 166(7), p. 890. 2. In March 1999, the Institute of Medicine issued a report on various aspects of marijuana, including the so-called Gateway Theory (the theory that using marijuana leads people to use harder drugs like cocaine and heroin). The IOM stated, "There is no conclusive evidence that the drug effects of marijuana are causally linked to the subsequent abuse of other illicit drugs." 3. The Institute of Medicine's 1999 report on marijuana explained that marijuana has been mistaken for a gateway drug in the past because "Patterns in progression of drug use from adolescence to adulthood are strikingly regular. Because it is the most widely used illicit drug, marijuana is predictably the first illicit drug most people encounter. Not surprisingly, most users of other illicit drugs have used marijuana first. In fact, most drug users begin with alcohol and nicotine before marijuana, usually before they are of legal age." 4. A 1999 federal report conducted by the Institute of Medicine found that, "For most people, the primary adverse effect of acute marijuana use is diminished psychomotor performance. It is, therefore, inadvisable to operate any vehicle or potentially dangerous equipment while under the influence of marijuana, THC, or any cannabinoid drug with comparable effects." Source: US Department of Justice, Drug Enforcement Agency, "In the Matter of Marijuana Rescheduling Petition," [Docket #86-22], (September 6, 1988), p. 57. 6. Commissioned by President Nixon in 1972, the National Commission on Marihuana and Drug Abuse concluded that "Marihuana's relative potential for harm to the vast majority of individual users and its actual impact on society does not justify a social policy designed to seek out and firmly punish those who use it. This judgment is based on prevalent use patterns, on behavior exhibited by the vast majority of users and on our interpretations of existing medical and scientific data. This position also is consistent with the estimate by law enforcement personnel that the elimination of use is unattainable." Source: Shafer, Raymond P., et al, Marihuana: A Signal of Misunderstanding, Ch. V, (Washington DC: National Commission on Marihuana and Drug Abuse, 1972). 7. 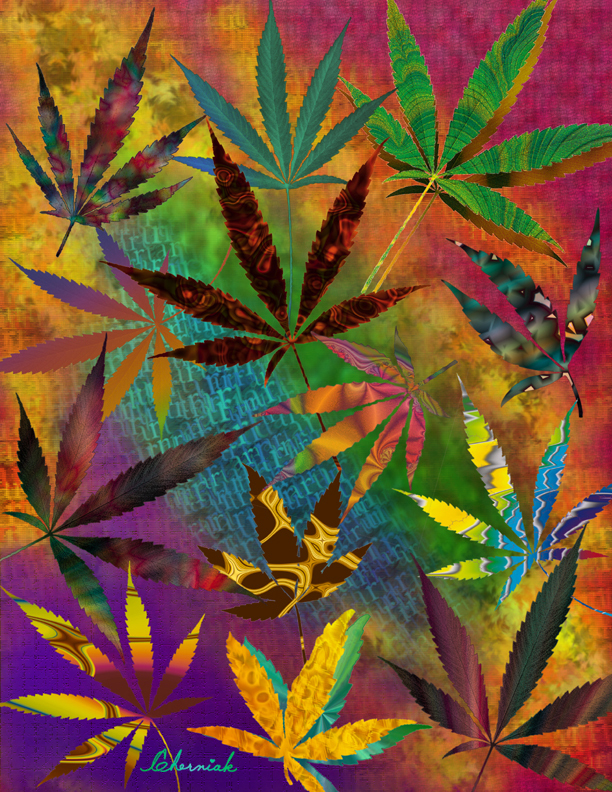 When examining the relationship between marijuana use and violent crime, the National Commission on Marihuana and Drug Abuse concluded, "Rather than inducing violent or aggressive behavior through its purported effects of lowering inhibitions, weakening impulse control and heightening aggressive tendencies, marihuana was usually found to inhibit the expression of aggressive impulses by pacifying the user, interfering with muscular coordination, reducing psychomotor activities and generally producing states of drowsiness lethargy, timidity and passivity." Source: Shafer, Raymond P., et al, Marihuana: A Signal of Misunderstanding, Ch. III, (Washington DC: National Commission on Marihuana and Drug Abuse, 1972). 8. When examining the medical affects of marijuana use, the National Commission on Marihuana and Drug Abuse concluded, "A careful search of the literature and testimony of the nation's health officials has not revealed a single human fatality in the United States proven to have resulted solely from ingestion of marihuana. Experiments with the drug in monkeys demonstrated that the dose required for overdose death was enormous and for all practical purposes unachievable by humans smoking marihuana. This is in marked contrast to other substances in common use, most notably alcohol and barbiturate sleeping pills. The WHO reached the same conclusion in 1995. Source: Shafer, Raymond P., et al, Marihuana: A Signal of Misunderstanding, Ch. III, (Washington DC: National Commission on Marihuana and Drug Abuse, 1972); Hall, W., Room, R. & Bondy, S., WHO Project on Health Implications of Cannabis Use: A Comparative Appraisal of the Health and Psychological Consequences of Alcohol, Cannabis, Nicotine and Opiate Use, August 28, 1995, (Geneva, Switzerland: World Health Organization, March 1998). 9. The World Health Organization released a study in March 1998 that states: "there are good reasons for saying that [the risks from cannabis] would be unlikely to seriously [compare to] the public health risks of alcohol and tobacco even if as many people used cannabis as now drink alcohol or smoke tobacco." Source: Hall, W., Room, R. & Bondy, S., WHO Project on Health Implications of Cannabis Use: A Comparative Appraisal of the Health and Psychological Consequences of Alcohol, Cannabis, Nicotine and Opiate Use, August 28, 1995, (contained in original version, but deleted from official version) (Geneva, Switzerland: World Health Organization, March 1998). 10. The authors of a 1998 World Health Organization report comparing marijuana, alcohol, nicotine and opiates quote the Institute of Medicine's 1982 report stating that there is no evidence that smoking marijuana "exerts a permanently deleterious effect on the normal cardiovascular system." 11. Some claim that cannabis use leads to "adult amotivation." The World Health Organization report addresses the issue and states, "it is doubtful that cannabis use produces a well defined amotivational syndrome." The report also notes that the value of studies which support the "adult amotivation" theory are "limited by their small sample sizes" and lack of representative social/cultural groups. 12. Australian researchers found that regions giving on-the-spot fines to marijuana users rather than harsher criminal penalties did not cause marijuana use to increase. Source: Ali, Robert, et al., The Social Impacts of the Cannabis Expiation Notice Scheme in South Australia: Summary Report (Canberra, Australia: Department of Health and Aged Care, 1999), p. 44. 13. Since 1969, government-appointed commissions in the United States, Canada, England, Australia, and the Netherlands concluded, after reviewing the scientific evidence, that marijuana's dangers had previously been greatly exaggerated, and urged lawmakers to drastically reduce or eliminate penalties for marijuana possession. Source: Advisory Committee on Drug Dependence, Cannabis (London, England: Her Majesty's Stationery Office, 1969); Canadian Government Commission of Inquiry, The Non-Medical Use of Drugs (Ottawa, Canada: Information Canada, 1970); The National Commission on Marihuana and Drug Abuse, Marihuana: A Signal of Misunderstanding, (Nixon-Shafer Report) (Washington, DC: USGPO, 1972); Werkgroep Verdovende Middelen, Background and Risks of Drug Use (The Hague, The Netherlands: Staatsuigeverij, 1972); Senate Standing Committee on Social Welfare, Drug Problems in Australia-An Intoxicated Society (Canberra, Australia: Australian Government Publishing Service, 1977); Advisory Council on the Misuse of Drugs, "The classification of cannabis under the Misuse of Drugs Act 1971" (London, England, UK: Home Office, March 2002), available on the web from http://www.drugs.gov.uk/ReportsandPublications/Communities/1034155489/Classific_Cannabis_MisuseDrugsAct1971.pdf ; House of Commons Home Affairs Committee Third Report, "The Government's Drugs Policy: Is It Working?" (London, England, UK: Parliament, May 9, 2002), from the web at http://www.publications.parliament.uk/pa/cm200102/cmselect/cmhaff/318/31802.htm and "Cannabis: Our Position for a Canadian Public Policy," report of the Canadian Senate Special Committee on Illegal Drugs (Ottawa, Canada: Senate of Canada, September 2002). 14. The Canadian Senate's Special Committee on Illegal Drugs recommended in its 2002 final report on cannabis policy that "the Government of Canada amend the Controlled Drugs and Substances Act to create a criminal exemption scheme. This legislation should stipulate the conditions for obtaining licenses as well as for producing and selling cannabis; criminal penalties for illegal trafficking and export; and the preservation of criminal penalties for all activities falling outside the scope of the exemption scheme." Source: "Cannabis: Our Position for a Canadian Public Policy," report of the Canadian Senate Special Committee on Illegal Drugs (Ottawa, Canada: Senate of Canada, September 2002), p. 46. 15. The United Kingdom officially downgraded the classification of cannabis from Class B to Class C effective Jan. 29, 2004. The London Guardian reported that "Under the switch, cannabis will be ranked alongside bodybuilding steroids and some anti-depressants. Possession of cannabis will no longer be an arrestable offence in most cases, although police will retain the power to arrest users in certain aggravated situations - such as when the drug is smoked outside schools. The home secretary, David Blunkett, has said the change in the law is necessary to enable police to spend more time tackling class A drugs such as heroin and crack cocaine which cause the most harm and trigger far more crime." Source: Tempest, Matthew, "MPs Vote To Downgrade Cannabis," The Guardian (London, England), Oct. 29, 2003. 16. UK Home Secretary David Blunkett announced in July 2002 that "We must concentrate our efforts on the drugs that cause the most harm, while sending a credible message to young people. I will therefore ask Parliament to reclassify cannabis from Class B to Class C. I have considered the recommendations of the Home Affairs Committee, and the advice given me by the ACMD medical experts that the current classification of cannabis is disproportionate in relation to the harm that it causes." Source: "'All Controlled Drugs Harmful, All Will Remain Illegal' - Home Secretary," News Release, Office of the Home Secretary, Government of the United Kingdom, July 10, 2002, from the web at http://213.219.10.30/n_story.asp?item_id=143 last accessed July 31, 2002. 17. In May of 1998, the Canadian Centre on Substance Abuse, National Working Group on Addictions Policy released policy a discussion document which recommended, "The severity of punishment for a cannabis possession charge should be reduced. Specifically, cannabis possession should be converted to a civil violation under the Contraventions Act." The paper further noted that, "The available evidence indicates that removal of jail as a sentencing option would lead to considerable cost savings without leading to increases in rates of cannabis use." Source: Single, Eric, Cannabis Control in Canada: Options Regarding Possession (Ottawa, Canada: Canadian Centre on Substance Abuse, May 1998). 18. "Our conclusion is that the present law on cannabis produces more harm than it prevents. It is very expensive of the time and resources of the criminal justice system and especially of the police. It inevitably bears more heavily on young people in the streets of inner cities, who are also more likely to be from minority ethnic communities, and as such is inimical to police-community relations. It criminalizes large numbers of otherwise law-abiding, mainly young, people to the detriment of their futures. It has become a proxy for the control of public order; and it inhibits accurate education about the relative risks of different drugs including the risks of cannabis itself." Source: Police Foundation of the United Kingdom, "Drugs and the Law: Report of the Independent Inquiry into the Misuse of Drugs Act of 1971", April 4, 2000. The Police Foundation, based in London, England, is a nonprofit organization presided over by Charles, Crown Prince of Wales, which promotes research, debate and publication to improve the efficiency and effectiveness of policing in the UK. 19. According to the federal Potency Monitoring Project, the average potency of marijuana has increased very little since the 1980s. The Project reports that in 1985, the average THC content of commercial-grade marijuana was 2.84%, and the average for high-grade sinsemilla in 1985 was 7.17%. In 1995, the potency of commercial-grade marijuana averaged 3.73%, while the potency of sinsemilla in 1995 averaged 7.51%. In 2001, commercial-grade marijuana averaged 4.72% THC, and the potency of sinsemilla in 2001 averaged 9.03%. Source: Quarterly Report #76, Nov. 9, 2001-Feb. 8, 2002, Table 3, p. 8, University of Mississippi Potency Monitoring Project (Oxford, MS: National Center for the Development of Natural Products, Research Institute of Pharmaceutical Sciences, 2002), Mahmoud A. ElSohly, PhD, Director, NIDA Marijuana Project (NIDA Contract #N01DA-0-7707). 20. "Statements in the popular media that the potency of cannabis has increased by ten times or more in recent decades are not support by the data from either the USA or Europe. As discussed in the body of this report, systematic data are not available in Europe on long-term trends and analytical and methodological issues complicate the interpretation of the information that is available. Data are stronger for medium and short-term trends where no major differences are apparent in Europe, although some modest increases are found in some countries. The greatest long-term changes in potency appear to have occurred in the USA. It should be noted here that before 1980 herbal cannabis potency in the USA was, according to the available data, very low by European standards." Source: European Monitoring Centre for Drugs and Drug Addiction, "EMCDDA Insights - An Overview of Cannabis Potency in Europe (Luxembourg: Office for Official Publications of the European Communities, 2004), p. 59. 21. "Although marijuana grown in the United States was once considered inferior because of a low concentration of THC, advancements in plant selection and cultivation have resulted in higher THC-containing domestic marijuana. In 1974, the average THC content of illicit marijuana was less than one percent. Today most commercial grade marijuana from Mexico/Columbia and domestic outdoor cultivated marijuana has an average THC content of about 4 to 6 percent. Between 1998 and 2002, NIDA-sponsored Marijuana Potency Monitoring System (MPMP) analyzed 4,603 domestic samples. Of those samples, 379 tested over 15 percent THC, 69 samples tested between 20 and 25 percent THC and four samples tested over 25 percent THC." Source: US Drug Enforcement Administration, "Drugs of Abuse" (Washington, DC: US Dept. of Justice, 2005), from the web at http://www.dea.gov/pubs/abuse/7-pot.htm last accessed Jan. 27, 2005.